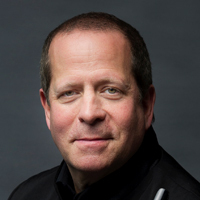 Principal clarinet of the Milwaukee Symphony and The Santa Fe Opera orchestras, Todd Levy has performed with members of the Guarneri, Juilliard, Orion, Miró, Ying, and Miami quartets; with Pinchas Zukerman, Christoph Eschenbach, and Mitsuko Uchida; as a soloist at Carnegie Hall, Mostly Mozart, and with the Israel Philharmonic; and as guest principal clarinet with the Chicago Symphony, New York Philharmonic, Philadelphia Orchestra, and Metropolitan Opera. His latest CD, Rhapsodie, was released in 2016 on AVIE. He has co-edited the new print/CD editions of the Bernstein Sonata and Finzi Five Bagatelles for Boosey & Hawkes in 2011-12.